Take the TACFIT Fire Fighter Challenge! The TACFIT FireFighter Challenge is here!! If your already a member, get instant access right now in our members area. If you are not a member and would like to get instant access to our free TACFIT Fire Fighter Challenge, just use the registration form below. 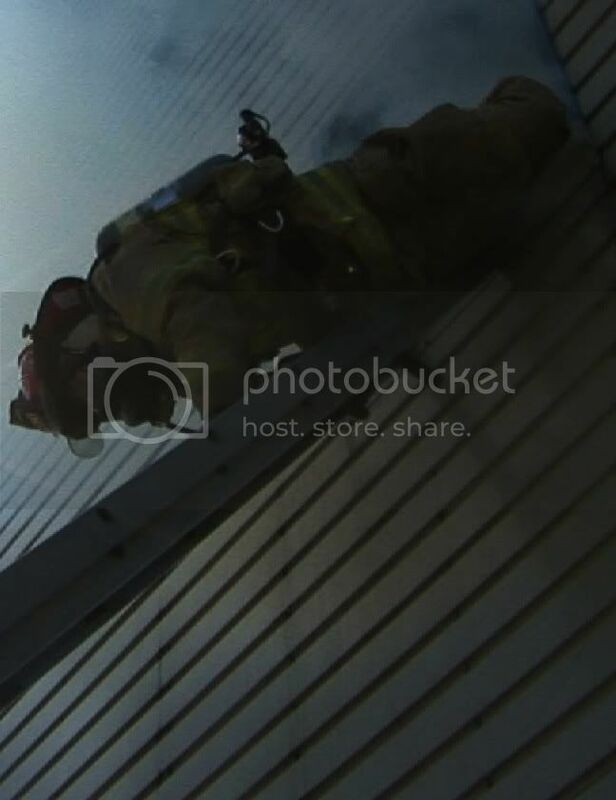 Firefighters are occupational athletes. The physical, mental and emotional demands that may be placed on the firefighter are unique, and at times very extreme. Physical training for firefighters should develop the attributes necessary to perform at a high level, avoid injuries, and return home safely. Physical preparedness is an occupational necessity. Unfortunately, most physical training programs do not meet our needs because they were not designed for firefighters specifically. Many programs overemphasize aerobic energy through long, slow duration training. Others overemphasize size and limit strength through power lifting and bodybuilding. Furthermore, few physical fitness programs place proper emphasis on injury prevention and recovery. For us, fitness is about more than performance, it is about survival. What is the TACFIT Fire Fighter Challenge? The TACFIT Fire Fighter Challenge is designed as a barometer for firefighter fitness. It addresses all of the components required of any firefighter fitness program: strength, power, metabolic conditioning, dynamic movement, mobility and recovery. A specific joint mobility warm-up and compensatory cool-down are incorporated into the program. Use this challenge to determine your physical strengths and weaknesses. Do you feel strong and powerful but have difficulty with the movements? Do you move well, but lack the conditioning to complete the workout? Your first attempt at the TACFIT Fire Fighter Challenge will serve as your baseline. 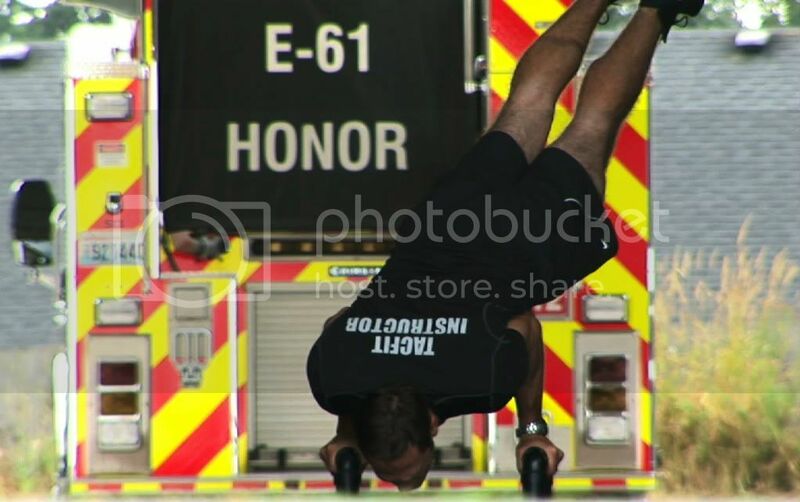 We challenge you to not only give this workout a try, but to take a look at a more specific and comprehensive approach to firefighter fitness. If you are already a member, you can gain instant access in our members area. If you want to become a free member and gain instant access, just complete the form below. This entry was posted	on Friday, February 17th, 2012 at 1:33 PM	and is filed under Health and Fitness. You can follow any responses to this entry through the RSS 2.0 feed. You can leave a response, or trackback from your own site.